Mens team - 1st Euan, Paul Quinton and Patrick Brown. East London Runners, is pleased to host a great chip timed road race set in the scenic grounds of Valentines Park, Ilford. UKA Road Licence Number 2018-31932. This is the eighth and final ELVIS race of the season. In 2016 and 2017 East London Runners donated the race surplus including the cake stall proceeds to local charities, including ELHAP. For this year's race, and in support of the Mayor of Redbridge's Charity of the year, we will be continuing our support for ELHAP. This years race will be started by the Worshipful Mayor of Redbridge. Race entry is open to all ELVIS Affiliated Clubs, other Clubs, and the general public aged 15 years and over. 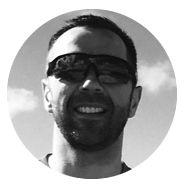 Costs are £6.00 for affiliated athletes, and £8.00 for unaffiliated. Entries on the day are £2 extra. NO TRANSFERS ALLOWED. Confirmation of entry will be sent to you by email to the address provided within the entry details. Entries (up to race limit) will be accepted on the day until 10.15am, and will be subject to an additional fee. No transfers will be permitted, and unofficial transfers will be removed from the final results. Race numbers are to be collected on the day from the race HQ so please arrive early to collect your number. The race will be followed by a Children's fun run if numbers allow (with free entries on the day only). Well it's that time of year again, and I must tell you that I am very excited. 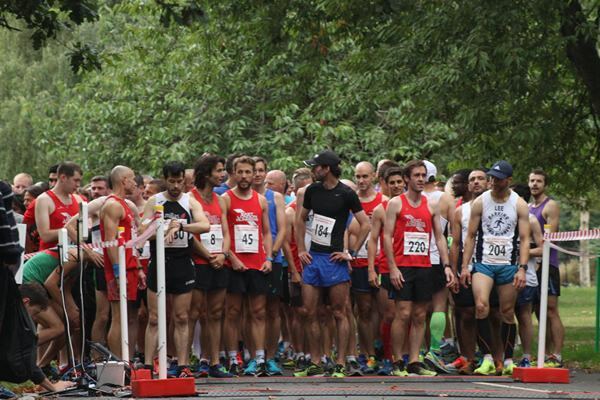 Weâ€™ve just launched the opening of the race, so I hope that you will all be signing up soon - here's the all-important link - as one of the cheapest races going - as paid up members (and affiliated) the cost is just £6 to enter and get a chip timed 5k result. As usual we will be looking for those that can't run to help us with arrangements on the day - we will shortly be coordinating volunteers, so please ask your nearest and dearest, significant others, coat and water carriers, therapists, counsellors and loved ones if they can help. We have always had a great turn out from our extended ELR family, and it really is appreciated. Our race, unlike other ELVIS races is a charity race. The club takes nothing from this event, apart from our small expenses. We have managed to secure sponsorship once again from our friends at Leyton Sports Massage. Katherine and her team will again be on hand to provide mini massages on the day. Read on to read more from Katherine below. Did you know that ELR members get 10% discount from all of her treatments on offer? This year's race will again support ELHAP Adventure Playground. This wonderful charity provides such valuable opportunities for children, young people and adults with disabilities. As ELHAP is also the Mayor of Redbridge's charity, I am delighted to be able to confirm that she has agreed to start our race and present our prizes. 2017 Prize Winners and Provisional Valentines Park Charity 5K Race Results available here. The 2017 race results can be found here. These are now confirmed as official. 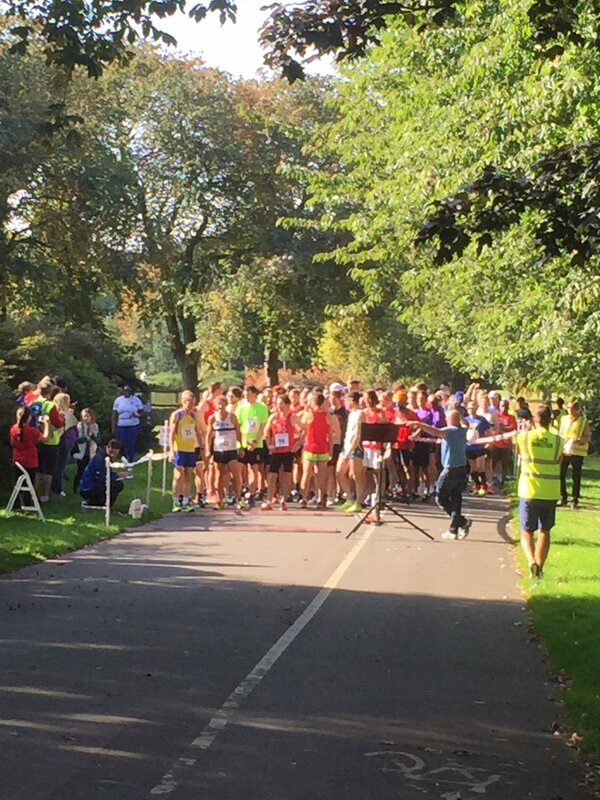 East London Runners have now opened entries for the Valentines Park Charity 5K. Entry is just £6 for affiliated runners, and £8 for others. You can sign up via EntryCentral here. Online entries closed at 10am on Thursday 27th September 2017. ON THE DAY ENTRIES until 10.15am. Affiliated £8, Non-Affilaited £10. Our CHIP TIMED race will take place on Sunday 24 September 2017, at 10.30 am in Valentines Park, Ilford. This event is also the final race of the 2017 ELVIS series. The race has been accredited by UK Athletics with Road Licence Number 2017-27348. 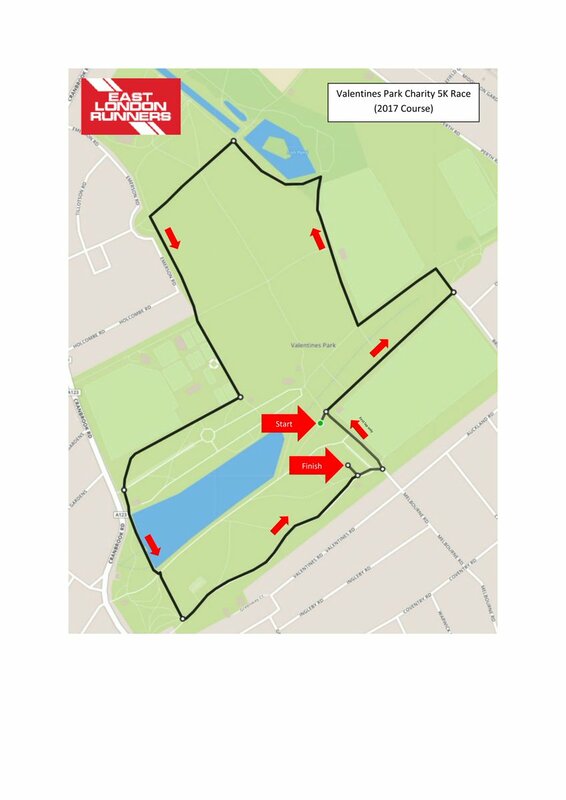 Due to the park authority's works, it has been necessary to amend the course slightly.View a map of the revised route here. We are pleased to inform you that our sponsors Leyton Sports Massage who offer specialised sport & remedial massage treatments from its three locations in Leyton, Walthamstow and Angel, Islington will again be offering a discount of 10% off their runner MOT packages for all entrants. The race will be followed by a children's fun run - with free entries on the day only - So why not bring the whole family along? This year's race is sponsored by Leyton Sports Massage, who offer specialised sport & remedial massage treatments from its two locations in Leyton, Walthamstow, and newly opened Angel, Islington. Leyton Sports Massage is offering all race participants 10% off a 60 or 90 min runner's MOT. This is in addition to your usual ELR discount. Further details will be included in your confirmation email. We are also very grateful to Physicals Fitness Club, Woodford Green who has donated water that will be available after the race.